Transport for London has laid out plans for improvements to the cycling infrastructure at 50 junctions over the next 18 months. Among the work to be carried out from Autumn onwards, TfL has suggested segregated lanes, safety mirrors and improved ‘early start’ traffic signals will be prioritised. 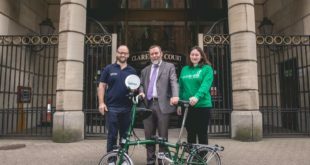 A review of 500 locations in the capital has led to a priority list of 100 being flagged up, based on collision data, cyclist numbers and user feedback. TfL has now promised to draw up detailed revamped designs for each by the end of 2013. Physical improvements will also be made at more than 50 junctions across the Capital over the next 18 months, with the first being delivered by the end of 2012. The 50 junctions selected will comprise 35 junctions from the top 100 and 15 junctions from the remaining 400 junctions. Barclays Cycle Superhighways are involved in some of the routes set for revision. Boris Johnson, the Mayor of London, said: ‘I am one hundred per cent committed to making London’s roads safer for cyclists and other vulnerable road users. TfL will also be installing a further 100 blind spot safety mirrors (commonly known as ‘Trixi’ mirrors) on junctions across London by April 2013 as part of its ongoing work to improve cycle safety. Work on the next phase of the Barclays Cycle Superhighways will also begin in 2013 and take into consideration feedback on the existing network’s flaws and successes. All 12 super highways are expected to be finished by 2015. TfL are discussing with the local Borough plans for the extension of the existing Route 2 from Bow Roundabout to Stratford High Street during the summer of 2013; and work to deliver Route 5 between Victoria and Lewisham via Camberwell will be completed by the end of 2013.